Results: 1 to 10 of a total of 58 results. Nurtured by Colorado I was born and raised in Colorado. I even attend school in this state. I have to say that I love Colorado. Well, I don't like the politics really. I love to travel around the state and still need to cover more land here. If you want to know more about me, then ask! Does danthefree belong in this group? Does deeperfanpoetry belong in this group? Does warlord2012 belong in this group? Does sauvage belong in this group? Meet New People I moved to Colorado at 17 years old. So I've been here 19 years now. Not fond of the snow, but it's pretty here. Does quiver316 belong in this group? 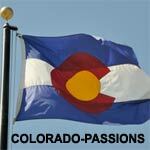 Hello Coloradoan born and raised. Love the mountains and all the outdoor activities that go with it. Does needlovin970 belong in this group? Does hallmarkman1 belong in this group? Looking for a friend I am recently separated soon to be divorced pre-op girl. I've been on HRT for 7months and plan on having GRS in the future. I'm looking for a down to earth kinda person, funny, out going, enjoys quite nights at home, and going out when the mood calls for it. Someone that is looking for a LTR but not in a hurry. Does leahb belong in this group? Does wilbrenn72 belong in this group? Does izzye4192 belong in this group?